Election officials across Texas were sent new lists of registered voters whose citizenship was flagged by the Texas Secretary of State's Office. The Texas Politics Project at the University of Texas at Austin teamed up with the Texas Tribune to poll the attitudes of Texans on a variety of national and state political issues. 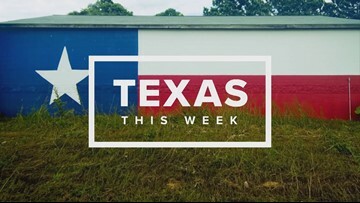 Tension over the secretary of state's confirmation, new polls were released and many bills moved forward – it was a big week in Texas politics. This week, the Senate Committee on Property Taxes voted to send an amended version of Senate Bill 2 to the full Senate for a vote. Representatives from the Center for Public Policy Priorities and Texas Public Policy Priorities weigh in on the pros and cons of the bill. This week, Texas Governor Greg Abbott (R) delivered his State of the State address, issuing five emergency items. Ashley Goudeau breaks down what they are. The Texas Secretary of State issued an advisory to elections officials across the state that approximately 95,000 people with voter registration cards could be 'non-citizens'. Soon after, mistakes were found. 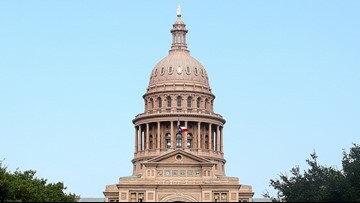 This week, the Texas House members received their committee assignments -- and a feud led to change in the Senate committee assignments. This week, budget documents were filed showing just how much Texas lawmakers want to put into public education. Ashley Goudeau sat down with Dale Craymer, President of the Texas Taxpayers and Research Association, to talk about the numbers. For this Texas This Week, Ashley Goudeau sits down with former Dripping Springs state representative and now senior manager and Distinguished Fellow for the TPPF, Jason Issac. This week, KVUE's news partners at the Austin American Statesman released Unwatched, a year long investigation into the lack of oversight in day cares across Texas. George H.W. 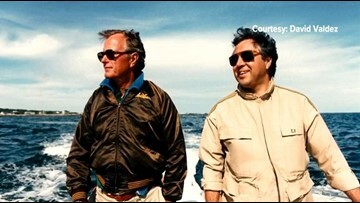 Bush's White House photographer David Valdez remembers the former president in Texas This Week.